Chances are you or someone you know shares a part of the $1.2 trillion student loan debt in this country. If you are concerned about the weight of that debt, student loan default rates, low graduation rates, and high costs of college that together hamper upward social mobility and this country's ability to compete internationally, then explore how providing better and earlier information about college costs and financial aid information, and holding educational institutions accountable for the debt held by their students, will help future borrowers make more informed decisions, take on less debt, and ease their ability to join the workforce. Experts from Center for American Progress and XXXXX have published this proposal. As these organizations do not take institutional positions, this proposal reflects the views of the individual authors. 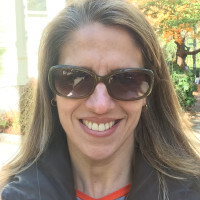 BA from Yale in Art History; played varsity field hockey and lacrosse JD from Seton Hall Law School Has been involved in the legal sphere as a corporate lawyer at major Wall Street and international law firms Milbank Tweed Hadley & McCloy; Clifford Chance; Freshfields Bruckhaus Deringer, and as an adjunct professor and Assistant Dean at Pace Law School. Now focused on improving equal access to educational opportunities and closing the racial and socioeconomic achievement gap. Higher education debt has grown steadily over the past several decades, both per family and as total portion of debt in the U.S., surpassing all other non-mortgage consumer debt. Student loan debt burdens individuals in their ability to access the credit market and make other life choices such as buying a home or having children. In addition, the high cost of college and student debt limits a large portion of our society's ability to attain a college degree, which is increasingly necessary for today's workforce, as well as for the country's competitiveness in the global economy. 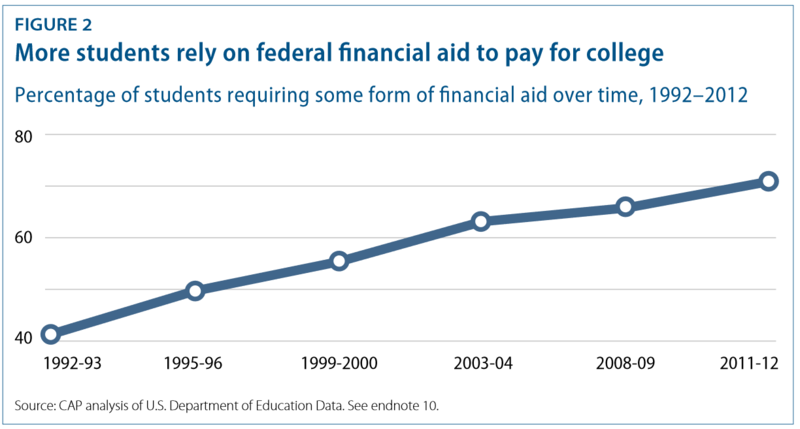 The Federal government provides over two-thirds of all student financial aid, continuing its long history of encouraging and supporting higher education for anyone regardless of income. 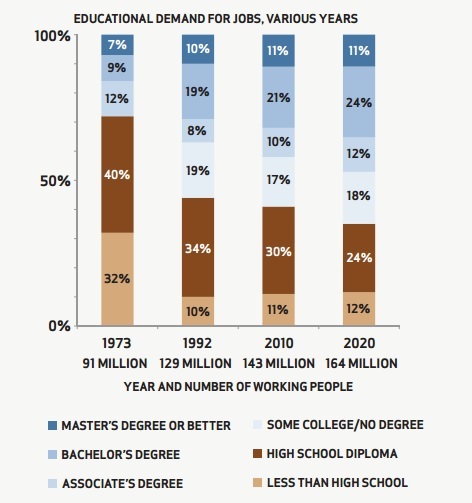 College degree-holders share an increasing portion of the job market. Through financial support of higher education, the Federal government can ensure an educated, competitive workforce, economic growth, and a strong democratic society. College attendance rates have been stagnant. For students from the lowest socioeconomic strata, the numbers are even worse. Individuals from this group are going to college at lower rates than in previous years, yet they comprise the largest portion of student loan borrowers and have the highest rates of college non-completion, leaving them with thousands of dollars of debt, no degree, and a bleak economic future. While the proportion of U.S. adults with higher education has been one of the highest ranked member countries of the Organisation for Economic Co-operation and Development (OECD), other countries are catching up. In order for the U.S. to meet its goal of becoming the nation with the highest proportion of adult university graduates by 2020, officials estimate that such proportion will have to grow from a current percent of 44% to 60% by the end of the decade. And the U.S. lags behind for first time higher education graduates completing a bachelor's (as opposed to an associate degree), with 58% to the 69% OECD average. 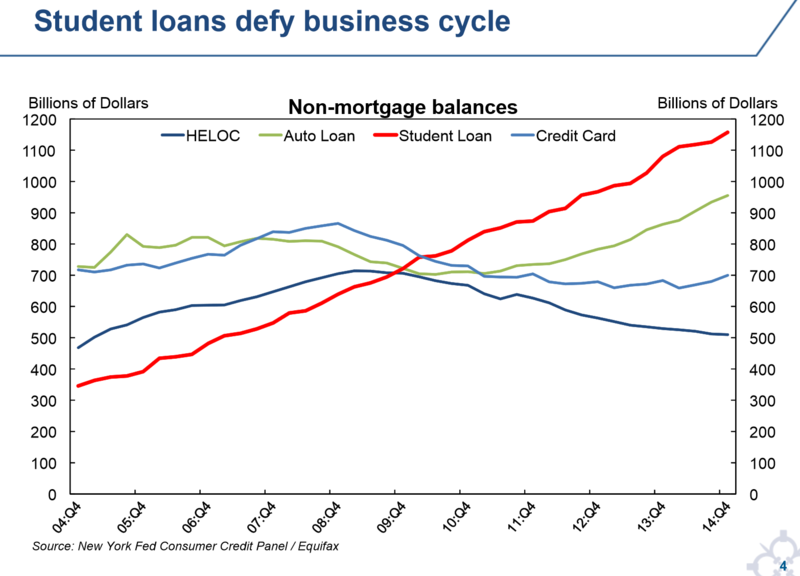 Federal student loan debt now surpasses all other major types of non-mortgage consumer debt. 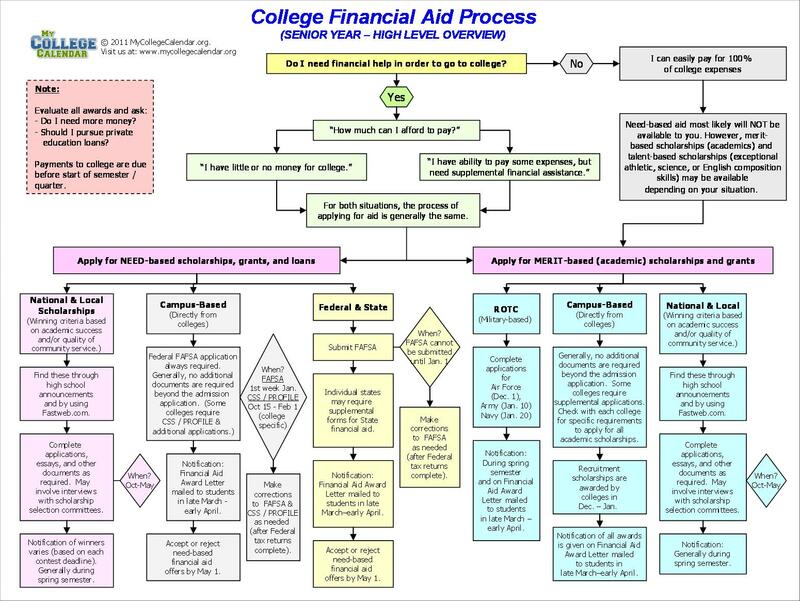 The student financial aid process is confusing and misaligned with the need for would-be college students and their families to make informed decisions about where to attend and how to pay for college. In fact, the loan application process (just take a look at the sample chart above!) and the Free Application for Federal Student Aid (FAFSA) form are so confusing that many high school students who qualify for federal grants and who comprise the majority high amounts of loans and high default rates, do not even apply for such aid. Students who do apply for financial aid don’t even find out what kind of aid they will get until after they have applied. 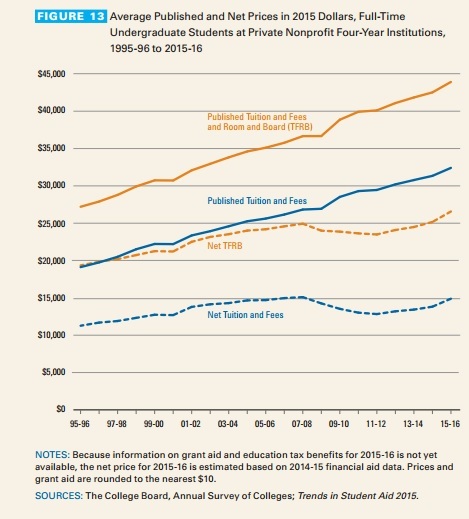 It costs almost three times more to go to college now than it did thirty years ago. 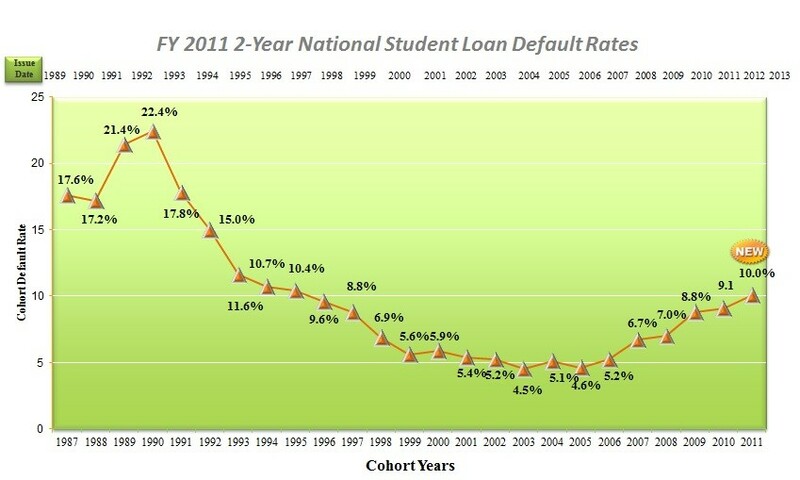 The student loan default rate has been climbing over the past several years, from a calculated 3-year default rate of 8.4% for 2005 to a high of 14.7% for 2013. With estimated recovery rates around 81%, the Federal government -- and American tax payers -- are losing billions of dollars annually. The Federal government grants tuition aid to accredited institutions for their students based on each student's financial need, not taking into account the school's degree completion rates, job placement rates, the ability of the institution's graduates to service or repay their loans, nor the total amount of outstanding debt associated with the institution. Other than general market pressures, institutions are not on the hook for the amount of debt each student graduates with, nor the total amount of outstanding debt associated with their institution. Generally a school only risks access to financial aid dollars through the Federal Family Education Loan Program (FFELP) (through which no new loans have been made after July 1, 2010), William D. Ford Federal Direct Loan (Direct Loan) Program, and/or Federal Pell Grant Program if it has three consecutive fiscal year cohort default rates that are 30% or greater. A school is also subject to loss of eligibility to participate in the FFELP and/or Direct Loan program if it has one year with an official cohort default rate greater than 40%. Recently only 8-10 schools (mostly technical or community colleges) have fallen into the risk category. Following complaints and investigations of fraud at for-profit trade schools who profited from the former Federal Family Education Loan Program (FFELP) program, Congress conducted hearings and then enacted the Student Loan Default Prevention Initiative Act of 1990 which, with the Department of Education’s Default Reduction Initiative, established a process for discontinuing participation in FFELP for post-secondary institutions with default rates over certain statutory thresholds. Hundreds of institutions lost their eligibility to the bulk of federal student aid, other legislation kicked in, resulting in an almost overnight drop in default rates. Some of the recent decline has been attributed to (i) the longer 270-day threshold for default (increased from 120 days back in 1998), (ii) the percentage of outstanding loans in deferment or forbearance, and (iii) an increase in use of Federal loan consolidation and repayment plans. 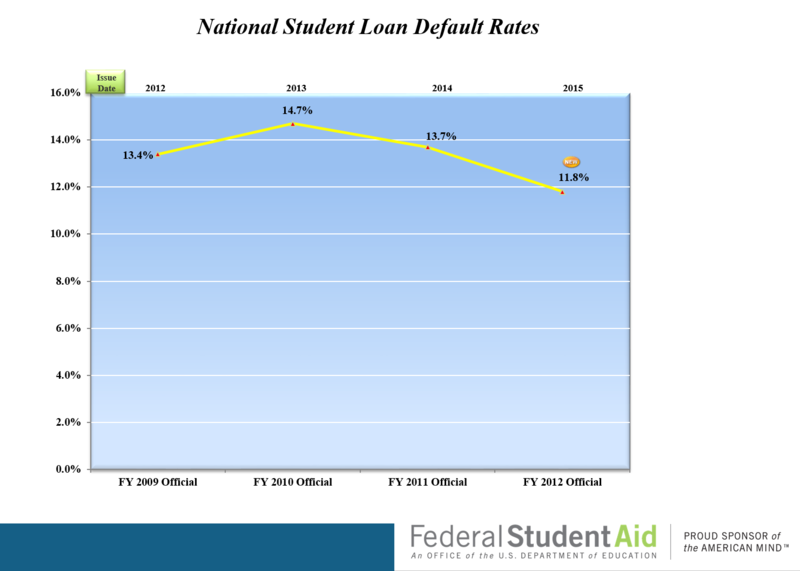 Federal Student Loans: Borrowed funds that must be repaid with interest. Federal student loans allow students and their parents to borrow money to help pay for college through loan programs supported by the federal government. Federal student loans offer borrowers many benefits not typically found in private loans. These include low fixed interest rates, income-based repayment plans, cancellation for certain employment, and deferment (postponement) options, including deferment of loan payments when a student returns to school. Also, private loans usually require a credit check. For these reasons, students and parents should always exhaust federal student loan options before considering a private loan. Private Student Loans: Nonfederal loans issued by a lender such as a bank or credit union. Federal Perkins Loan: Undergraduate students may receive up to $5,500 and graduate/professional students may receive up to $8,000.Total amount may not exceed $27,500 for undergraduates and $60,000 for graduate students (including amounts borrowed as an undergraduate). Eligibility depends on student’s financial need and availability of funds at the college. College is the lender; payment is owed to the college that made the loan with the interest rate being 5%. Direct Subsidized Loan: Annual amount of $3,500–$5,500 depending on grade level for undergraduate students who demonstrate financial need. Direct Subsidized loans are first disbursed on or after July 1, 2015, and before July 1, 2016. The interest rate is 4.29% but student are not usually charged interest on the loan during certain periods. The U.S. Department of Education (ED) is the lender; payment is owed to ED. Direct Unsubsidized Loan: An amount of $5,500–$20,500 (less any subsidized amounts received for same period), depending on grade level and dependency status available to undergraduate and graduate students regardless of need. For loans first disbursed on or after July 1, 2015, and before July 1, 2016: 4.29% interest rate for undergraduate students, and 5.84% interest rate for graduate and professional students. Student is responsible for interest during all periods. ED is the lender; payment is owed to ED. Federal Pell Grant: An annual amount of up to $5,730 awarded to undergraduate students who have exceptional financial need and who have not earned a Bachelors of Graduate degree. In some cases, in some cases, however, students enrolled in a postbaccalaureate teacher certification program might be eligible. Federal Pell Grant lifetime eligibility is limited to 12 semesters or the equivalent. Federal Supplemental Educational Opportunity Grant (FSEOG): An annual amount of up to $4,000 awarded to undergraduate students who have exceptional financial need and who have not earned a bachelor's or graduate degree. Federal Grant recipients receive priority for this assistance. Funds depend on availability at the college and potential recipients need to apply by their college’s deadline. Not all colleges participate in the FSEOG program. Teacher Education Assistance for College and Higher Education (TEACH) Grant: Award of up to $4,000 available for undergraduate, postbaccalaureate, or graduate students who are or will be taking coursework necessary to become elementary or secondary teacher. They must agree to serve for a minimum of four years (within eight years of completing academic program) as full-time teachers in a high-need field in a school or educational service agency that serves low-income students, Potential recipients must attend a participating college and meet certain academic achievement requirements. Failure to complete the teaching service commitment will result in the grant being converted to a Direct Unsubsidized Loan that must be repaid. The high economic and social costs of student loan debt. A nationally-recognized expert on student financial aid, scholarships and student loans reviews the newly released U.S. Department of Education's student loan repayment plan, the Revised Pay-As-You-Earn Repayment Plan (REPAYER). Information on federal loan repayment plans can be found at Federal Student Aid. The CENTER FOR AMERICAN PROGRESS is a a 501(c)3 policy institute dedicated to improving the lives of all Americans, through bold, progressive ideas, strong leadership, and concerted action. Our aim is not just to change the conversation, but to change the country. Has been involved in the legal sphere as a corporate lawyer at major Wall Street and international law firms Milbank Tweed Hadley & McCloy; Clifford Chance; Freshfields Bruckhaus Deringer, and as an adjunct professor and Assistant Dean at Pace Law School. Now focused on improving equal access to educational opportunities and closing the racial and socioeconomic achievement gap. Students and families should receive an early guarantee of available federal student aid -- including grants that do not have to be repaid -- tailored to their specific financial circumstances with a sufficient amount of time to begin saving and preparing for college. Ideally the IRS would notify families about their eligibility for federal financial aid before the student starts high school. In conjunction with such early determination of aid, the U.S. Department of Education would develop and provide detailed information to the IRS on the cost of college by institution type within the state of citizenship, net price, types of aid available, and repayment options. The Higher Education Act of 1965 already authorizes a demonstration program for states to award Pell Grants in conjunction with an information campaign targeting low-income students in the eighth grade. The U.S. Department of Education could track these students through college and monitor their progress. Congress should appropriate the necessary funds so that the secretary of education can award grants to states in order to fund administrative expenses required to pilot an early guarantee under demonstration authority. Receiving federal financial aid should not require students to fill out forms providing income data when this information is already collected and reported through the federal income tax system. Congress should require that the financial information available to the IRS on income tax returns be used to determine federal student aid eligibility. Build a financial aid calculator that works within the IRS income tax system: Currently, financial aid eligibility is determined based on the Free Application for Federal Student Aid (FAFSA) information and the formula that determines expected family contribution (EFC) based only on prior year earnings information. A new calculator should be created that can work with IRS data points to determine the amount of available grant aid based on multiple years of income data. Students from families below the income threshold for filing a tax return should be assumed to be low income for purposes of determining the aid amount. For independent students, the aid amount should be based on the past three years of tax returns on a rolling basis. Taxpayers with stagnant or declining wages should be informed annually of eligibility. Permit states and institutions to use the same income data supplied to the IRS so that aid decisions would be made based on a composite picture of families’ economic circumstances. Allowing students and families to share data from their tax records would help streamline and automate aid distribution without requiring additional burdensome forms. States could elect to share information on state aid programs and eligibility—as well as state public college information, including in-state tuition rates and required high school coursework for admission—at the same time that federal aid information is provided in order to give students and families even more incentive and understanding of affordability and access. Currently, students and their families are able to borrow an unlimited amount above other financial aid to cover the cost of attending college. 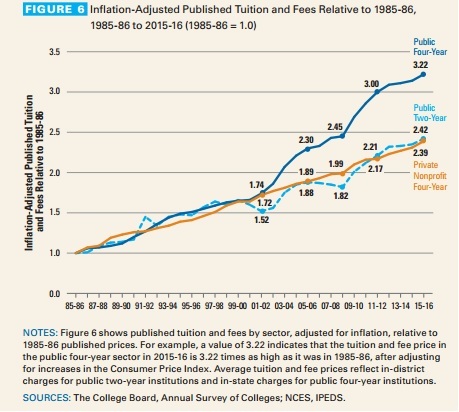 To prevent over-borrowing and rising tuition, the Department of Education could calculate a maximum cost of attendance (COA)—set, for example, at the median COA for private institutions and indexed to inflation. If a school’s COA is higher than the maximum, PLUS loans may be available only to the extent total assistance equals the maximum. 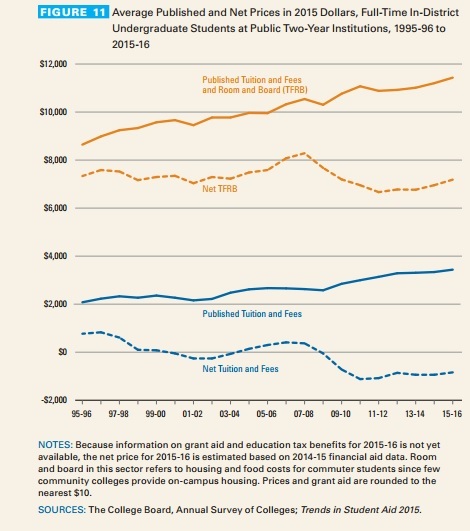 What is crucially missing from the current system is the ability to link college prices, debt levels, and graduate employment earnings. There is no comprehensive measurement system of college graduate success. Currently, federal law allows institutions to keep private information on future wages and employment of their graduates. Rankings systems like U.S. News and World Report are primarily based on school inputs. Studies like The Collegiate Learning Assessment (CLA) and the National Assessment of Adult Literacy (NAAL) give overall pictures of learning and literacy, but the results are not tied to particular institutions. Congress should repeal the ban on this invaluable consumer information and ensure that the Department of Education, the Social Security Administration, and other agencies have the statute and funding necessary to provide useful information to researchers and consumers, without unduly increasing the reporting burden on institutions. All this can be done while protecting individual privacy by anonymizing all data (as the Census Bureau has done for a century). Currently, the Cohort Default Rate (CDR) rule revokes school eligibility for federal tuition assistance after three consecutive years of default rates that are over 30%. A default rate, however, does not account for students who experience financial hardship but are allowed to avoid default by entering into forbearance. Though these students are not technically in default, they are also not making payments on their loans. There should instead be a system based on repayment rates rather than CDRs, which would penalize schools (either a small flat or sliding scale percentage) based on the percentage of students who are failing to make their monthly loan payments. If done correctly, this would quickly remove the worst-performing institutions from federal support, and—most importantly—prompt institutions to avoid penalty by actually reducing lending and improving quality, rather than gaming the rules. Improve risk-sharing by enrolling more students in the federal government income based repayment (IBR) and Pay as You Earn (PAYE) programs and independent investor future income share agreements (ISAs). The federal government repayment programs are cumbersome to understand and enroll in, and are thus underutilized. The government could remedy this problem by automatically enrolling students in IBR and PAYE. Unlike student loans, ISAs are financial instruments in which a private investor—which can be non-profit or for-profit—finances a student’s education in exchange for a certain share of the student’s future income over a specified number of years. ISAs carry no principal balance or interest rate. All students are guaranteed affordable payments, with some paying more and some paying less—depending on their success after school. This arrangement frees students from the default risk associated with not finishing college, struggling in their entry into the labor market, or choosing a less lucrative career path. 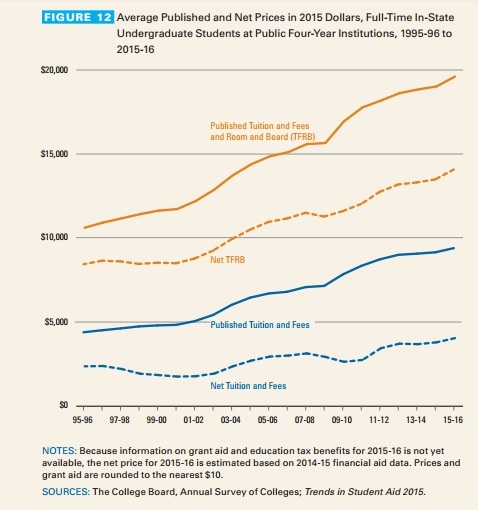 In order to foster the creation of a robust ISA market, the federal government would need to provide legal clarity—by authorizing a federal regulator, crafting disclosure regulations, and putting in place strong consumer protections and prohibitions on discrimination based on certain student characteristics, such that ISAs do not strictly help students whose demographic backgrounds indicate a higher likelihood of success. Available evidence shows a link between awareness of aid and improved access and success among low- and moderate-income students. Early awareness of college possibility and financial aid awards corresponds to improved levels of academic achievement, educational aspiration and earlier savings, resulting in better college readiness, and increased college retention and completion rates, particularly for students from low-income backgrounds, and a higher labor force participation rate with corresponding increases in federal income tax revenues. Earlier information and clarity will promote earlier savings and preparation for families with the financial ability to do so. More informed and prepared borrowers are less likely to over-borrow and default. The Proposal Add Transparency and Accountability to Federal Student Financial Aid needs your vote by Invalid date.